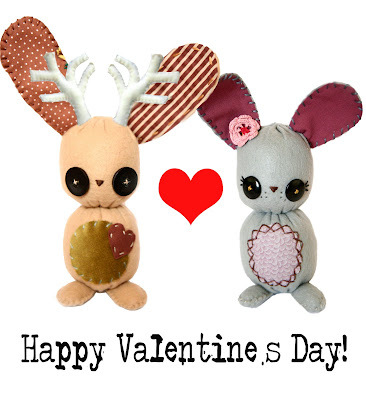 Skunkboy Blog: Happy Valentine's Day! That valentine is so sweet!! Last night while I was at work I found a little kids valentine to their dad in a stack of movies. I was sad that it was lost in the drop off box but it made me smile so I brought it home lol =]. Is there any chance you're going to be making more of those sea horses for the general public? Yes, as soon as I get finished with the rest of my custom orders I plan to make a seahorse for the shop. I'll post about it before a listing goes up! And, the Valentine story is so bitter-sweet! 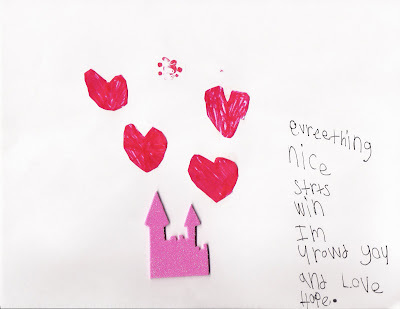 You know a little one worked really hard on that Valentine for their dad-- it's so sad that he lost it, but at least someone who could appreciate it found it.